This faithful reproduction of an 18th Century Pencil Post Bed is done in striking Tiger Maple. 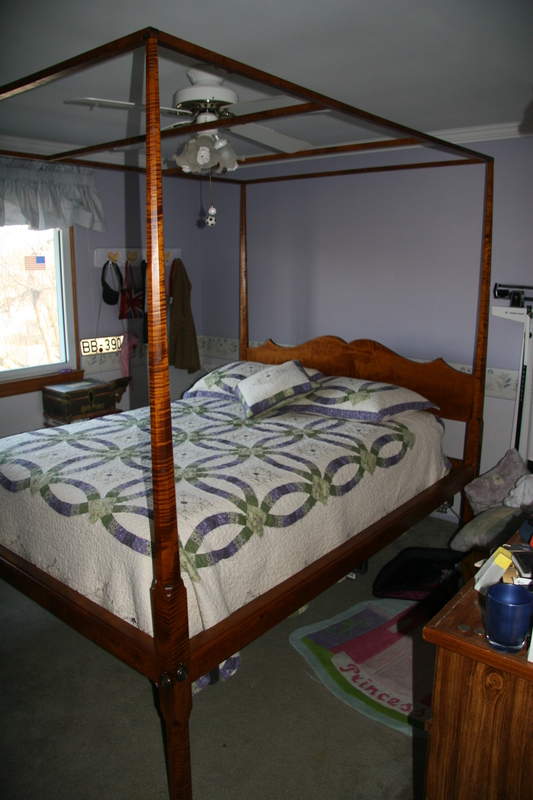 True to the original design it is made with knock-down hardware and can be easily moved. 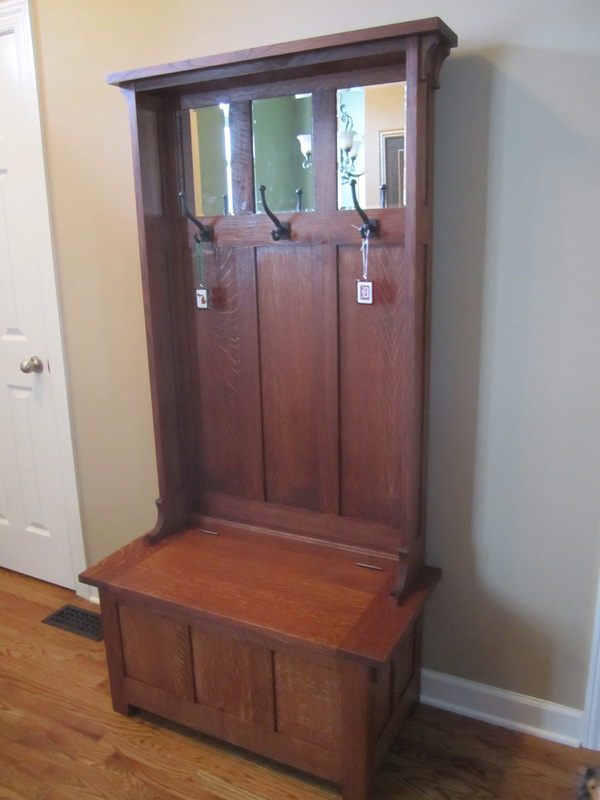 Designed as an amalgam of various Arts & Crafts Hall Benches, this piece is true to period featuring Quartersawn White Oak, beveled glass mirrors, and cast iron hangers. 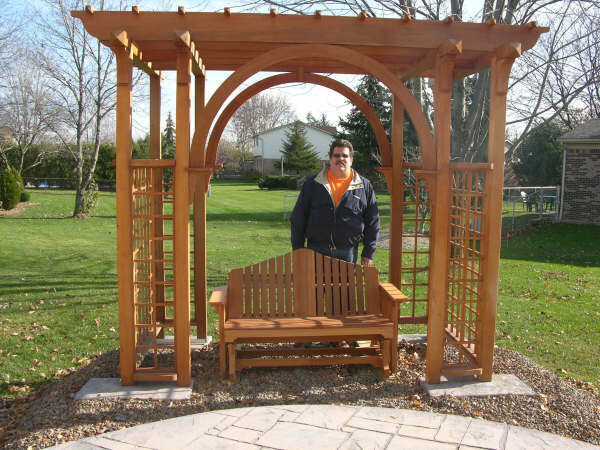 Made of Western Red Cedar this original design won a best in category award at a national contest for US furniture builders beating out hundreds of other entries. 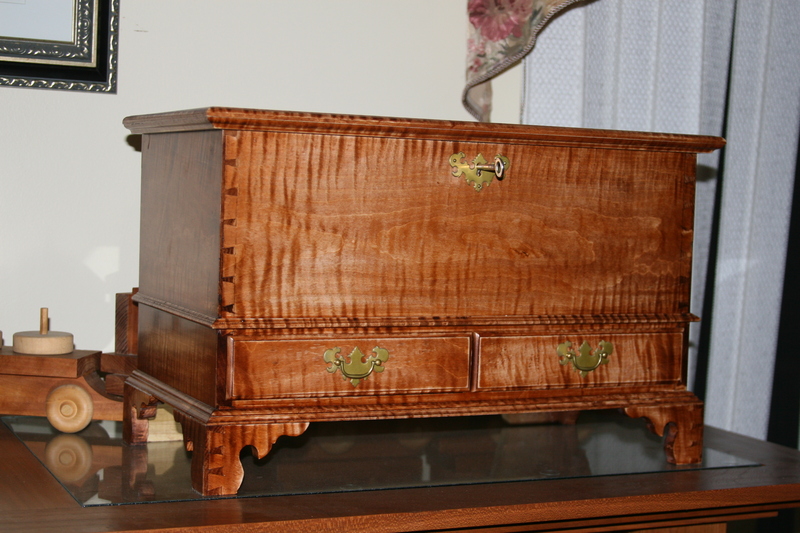 Made from Mahogany and hand carved this piece is modelled after similar pieces popular in both England and the Colonies. Before the days of combination safes, colonials kept their valuables in locked keeping boxes. 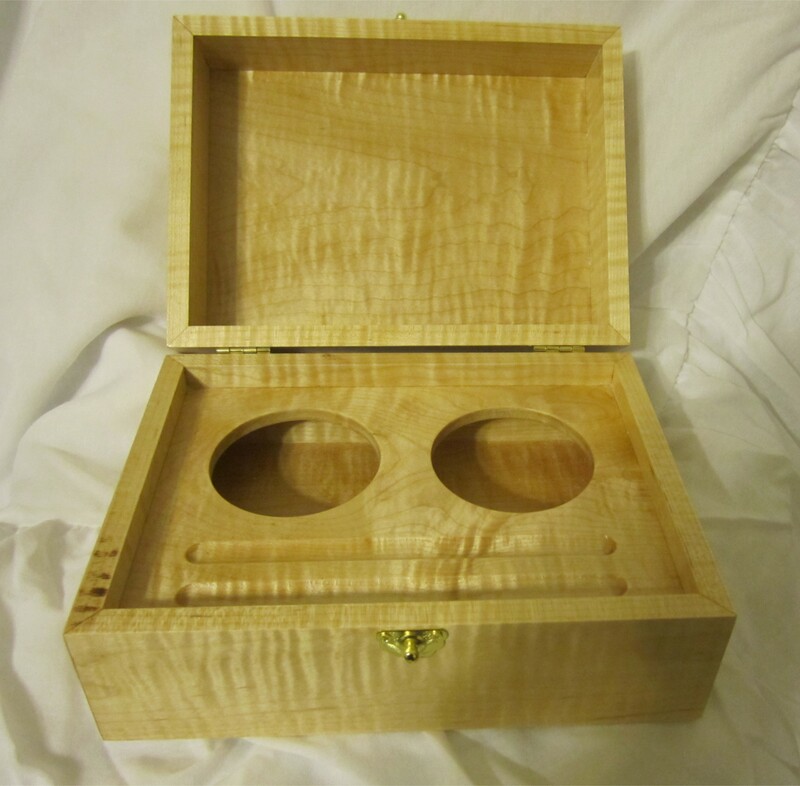 This one features hand cut dovetails, piston fit drawers, and it is made of solid tiger maple. Commissioned to look like it's colonial counterpart, this Fountain Pen Box features simple, unadorned beauty. 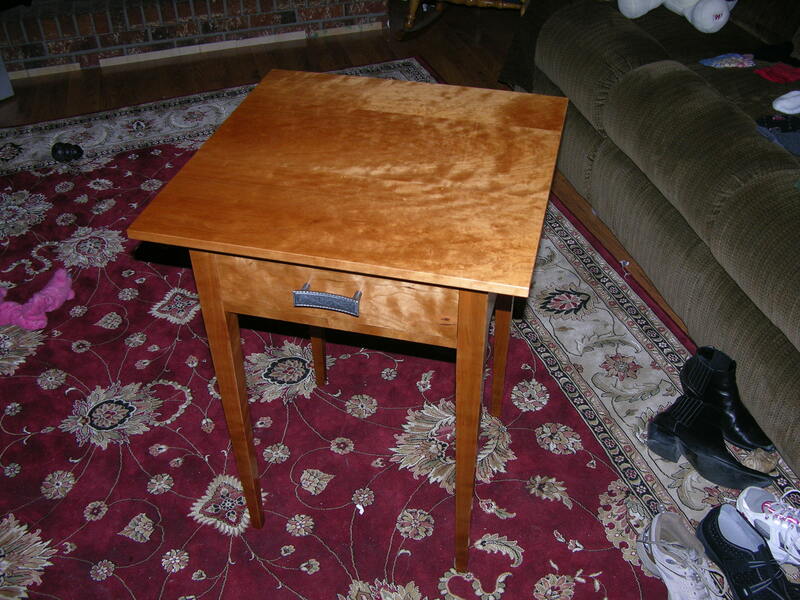 The combination of tiger maple and an oil finish makes this a very elegant piece. 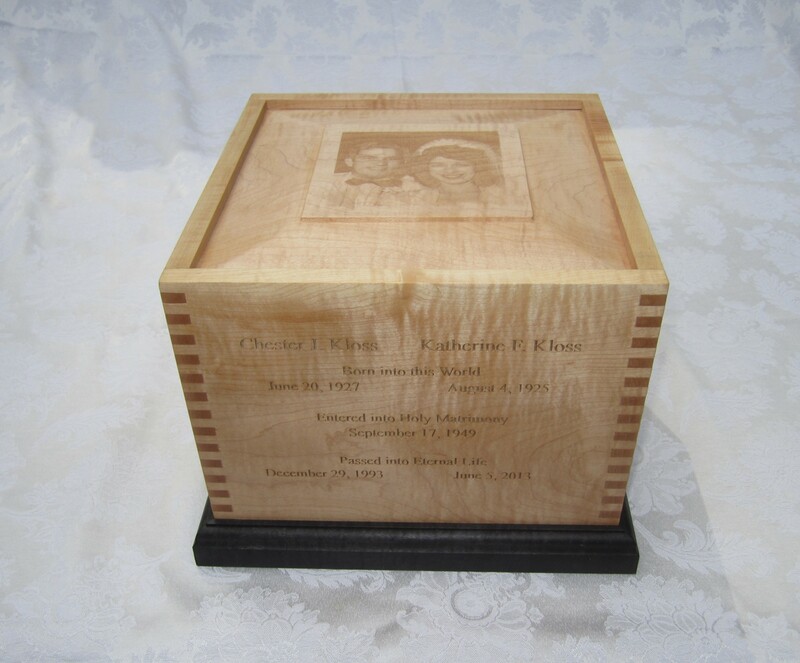 A simple elegant box that serves and the final resting place for loved ones. This one combines ancient joinery techniques with modern laser engraving. 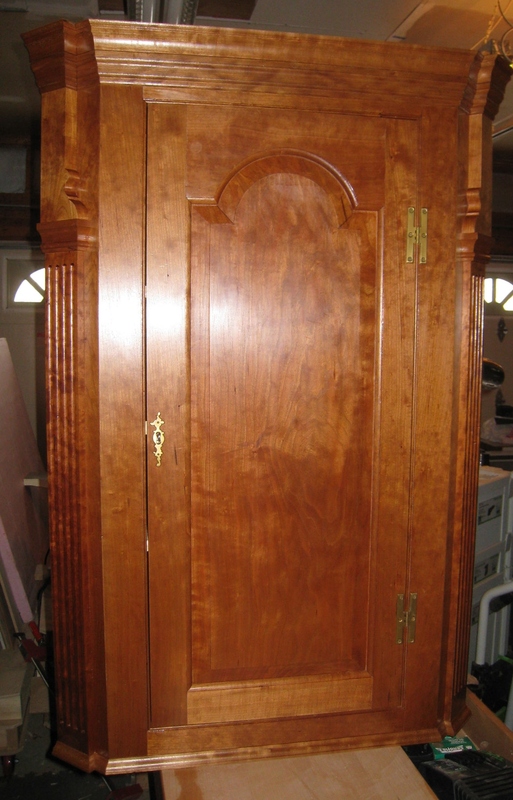 Made of Cherry from southeast Pennsylvania, this corner cabinet is an amalgam of cabinet design from that era. Its highly precise and striking lines are well balanced by the warmth of the wood. 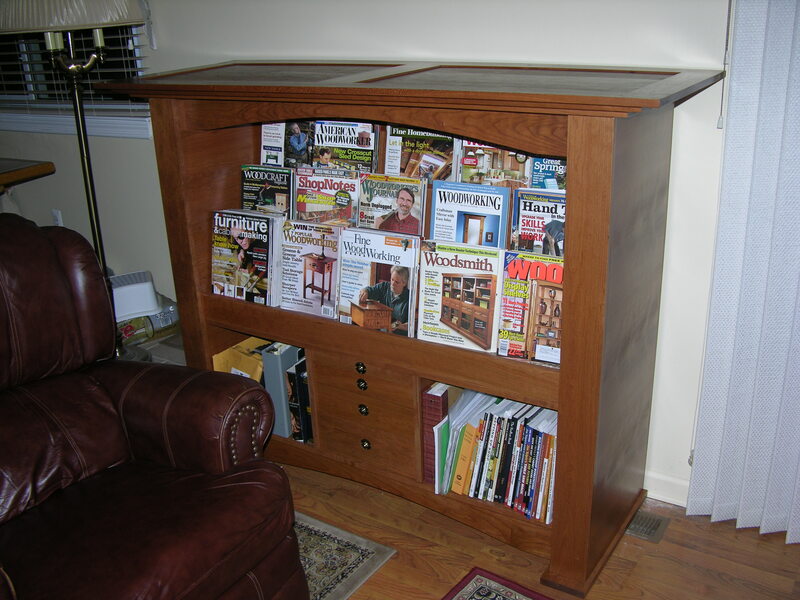 Made to solve a common problem, this magazine rack combines solid and veneered Cherry with simple and elegant lines. 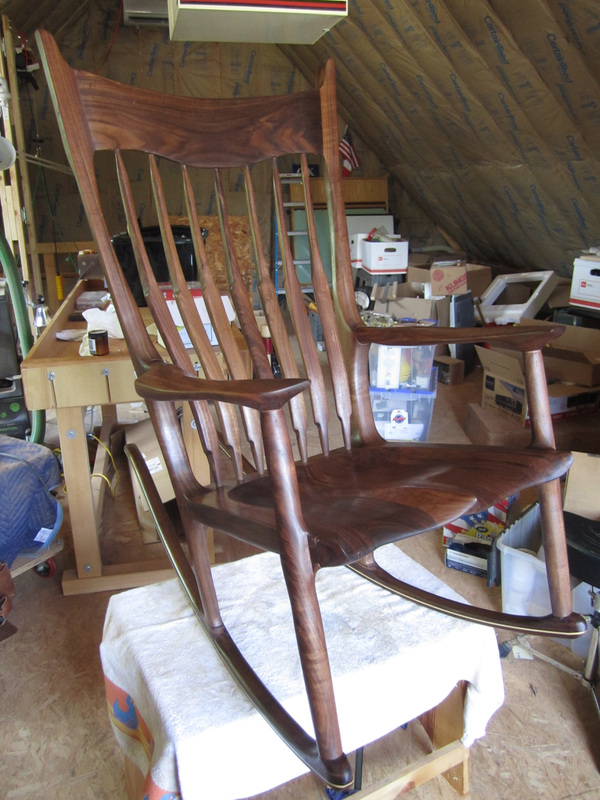 This rocker was sculpted from American Black Walnut and is a reproduction of those made by the world famous furniture maker Sam Maloof. 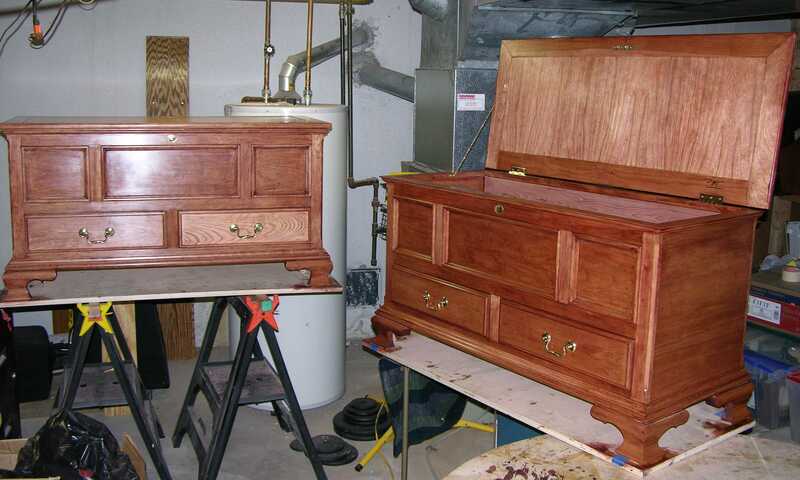 This matching pair of chests is done with a combination of solid and veneered Cherry. It is Queen Anne in style down to its last detail and features a aromatic cedar lining. Hand turned from segments of Ash and Bloodwood, this striking piece serves both to be functional and beautiful. This simple Shaker reproduction features hand cut dovetails and gorgeous Cherry wood from southeast Pennsylvania. It is a simple, elegant, powerful piece. 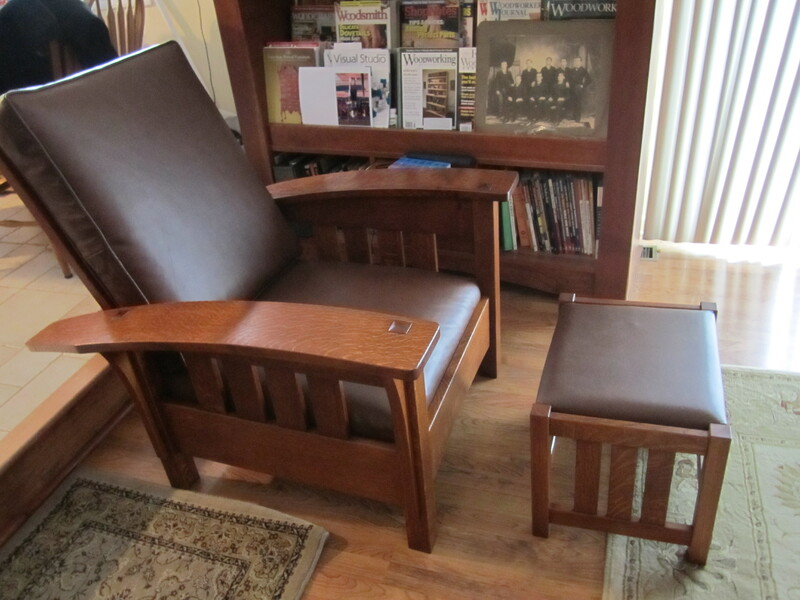 This is a museum accurate reproduction of Stickley's Morris Chair (with Ottoman). The Bow Arm Morris was Stickley's third (and last) design revision for the Morris chair and is universally considered the most comfortable. 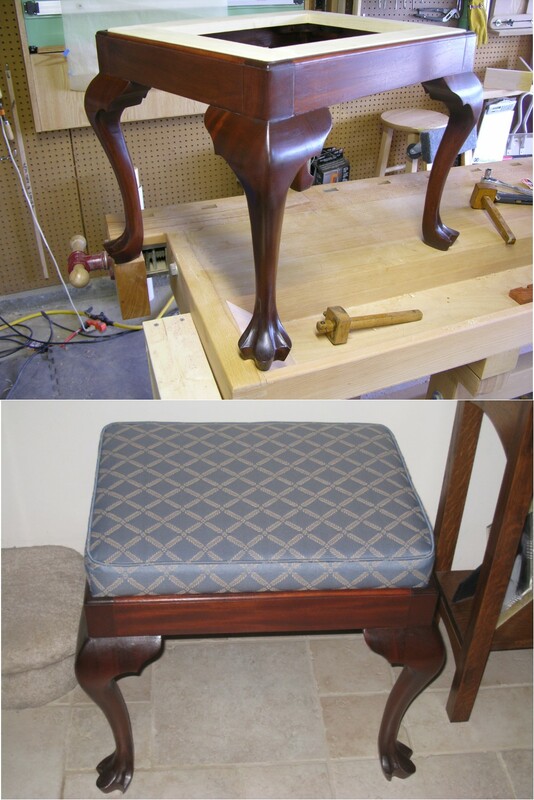 As with the original, the chait and ottoman are made from quartersawn white oak. 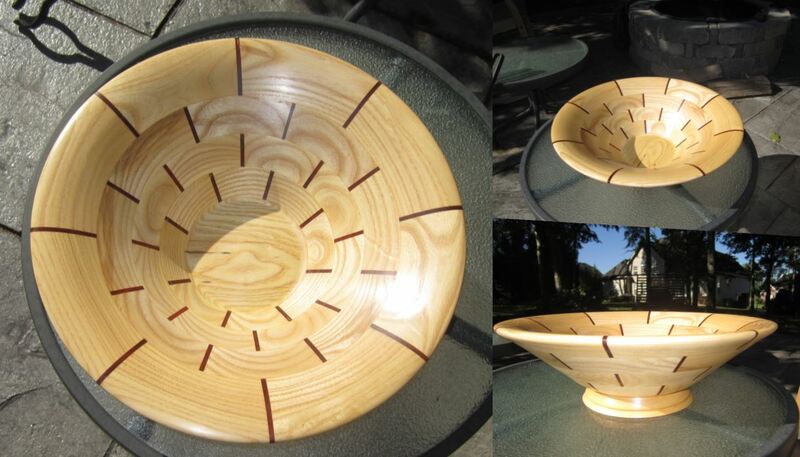 Want to see more work by The Vitruvian Woodshop? Check out our fanpages and social media accounts below. © Design by Turtle Rush Media. All rights reserved.